a lot of knowledge would be left forever. 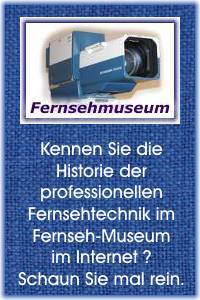 I did research about a year, to rebuild the real history of the taperecorder, starting in Germany 1932. (You need to speak or at least understand some German.) Many rumors and stories needed to be compared (or verified) with other infomations to come closer to the truth, away from legends and dreams. If you like to read some (really very long) German text or use an automatic online translator, you may click onto the large Tape Story here. But please do´nt be angry, the story is really large, more than 3 printed meters. So evaluating the history of magnetic recording, I did start from the near end (the modern data recorders) to the far end (the legacy sound recoders) back to the middle of both (the video tape recoders). You will find a large gallery of European tape recoders, completet with most of the data (cartridge) recorders and now starting to add the broadcast tv recoders and all related broadcast technology here on these pages. We do NOT care about the media, the programs, the films and other material like news and events like the american tv museum. We do care about the "making of" of shows or the news or outdoor reports or the worlds championchips or olympics. We do care about the technics behind the pictures. We are collecting little funny stories inside the broadcast organisations, the history of tv development, the many decisions to change something growing too old and more . . .
Comming to the end, we write all texts on these pages in upper class German language. We like to make it a pleasure, to read these pages. And therefore we use a lot of funny native German sayings and idioms and comparisons, to make the long texts readable. So please do´nt be sad, if your translator "is not a perfect German". The internet online translators are stupid computers. So be happy, what is comming out (if something is comming out) and smile.